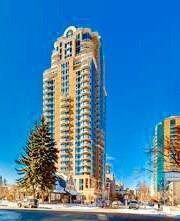 One bedroom + Den with Open view, situated in prestigious Montana (concierge service 7 days from 8 am to 8 pm): within walking distance to Western High School, & some of the City's finest shopping, dining & entertainment. Great Room concept with 9 ft. ceiling and in-suite laundry. Unit upgrades: granite counter-tops, stainless steel appliances, & flooring. SE balcony for morning & afternoon sun an added bonus. Central air conditioning & enhanced sound proof (super thick) glass pane windows. 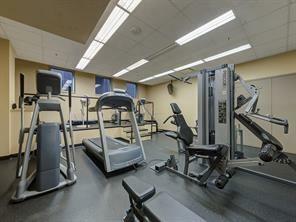 Building equipped with Exercise Room, Boardroom, & Visitor U/G parking. 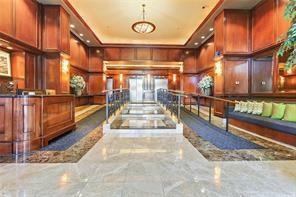 Condo fee $ 394.25 pm. 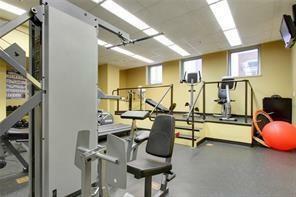 Gym located on West side of Main floor; Board room on East side access via concierge. Visitor parking on P-6; & Bike room on P-1. Locker Room on P-4. Realtors pls note IMPORTANT Private Remarks re showing.